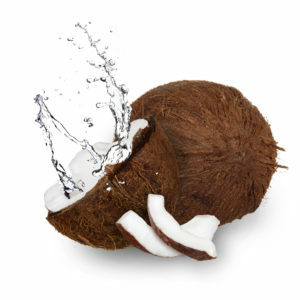 Coconut water, the liquid inside a coconut, was the big drink trend in 2013. With a consistency more like juice than milk, coconut water offers better hydration than fruit juice, has less sugar, and it contains potassium, sodium, calcium and magnesium. These minerals help your body recover after you’ve been working hard, and they make coconut water a good choice after a long, intense workout. Today, maple water looks set to take over as the new trendy water alternative. Maple water is the sap collected from maple trees. Usually the sap is boiled down to increase its sugar concentration and becomes maple syrup. Researchers at the University of Rhode Island say maple sap contains dozens of helpful nutrients including vitamins, minerals, polyphenols, and prebiotics. This research is not yet published, but watch for more information from researchers on this water alternative. A wide variety of flavoured waters available on the market contain medicinal ingredients, such as herbs and minerals. However, they also include artificial colours and flavours. Whether these drinks deliver health benefits is unclear. Research shows an athlete needs water, electrolytes, and carbohydrates (sugar) to maintain performance and fully recover from exercise that exceeds one hour. Conventional stores feature sports drinks with varying concentrations of electrolytes and sugar, as well as artificial colours and flavours, designed for a variety athletic workouts. Health food stores offer many electrolyte powders and tablets that can be added to water to create a clean sports drink. Alternatively, there are many recipes online to create your own electrolyte drink at home. Energy drinks contain caffeine, sugar, and other ingredients including taurine, sucrose, guarana, ginseng, niacin, pyridoxine and cyanocobalamin. The amount of guarana, ginseng and taurine found in popular energy drinks is low and unlikely to deliver either therapeutic benefits or adverse effects. However, when it comes to their sugar and caffeine content, remember that caffeine is a diuretic and is the opposite of what you need if you’re dehydrated. A cold, bubbly drink is refreshing on a hot summer day, which could be why Canadians drink more than 3.5 billion liters of soft drinks each year. For a cleaner, low sugar alternative to soda pop, try carbonated water with a splash of pure fruit juice. With all of the water alternatives available, what’s the best and cleanest way to hydrate your body? Most often, a glass of water is your best choice. During extensive exercise ensure you include some electrolytes and carbohydrates in your drink to keep you at your best. As for lounging poolside, adding berries, mint, or cucumber to your water can make staying hydrated a little fancier. Enjoy summer by staying hydrated! Warzak, W. Caffeine consumption in young children. J Pediatr 2011;158:508-9. Jeukendrup, A and M Gleeson. Sports Nutrition – 2nd Edition: An introduction to Energy Production and Performance. 2010. The Canadian Soft Drink Industry – Agriculture and Agri-Food Canada.